SteinExpo 2017 - Kobelco Construction Machinery Europe B.V. 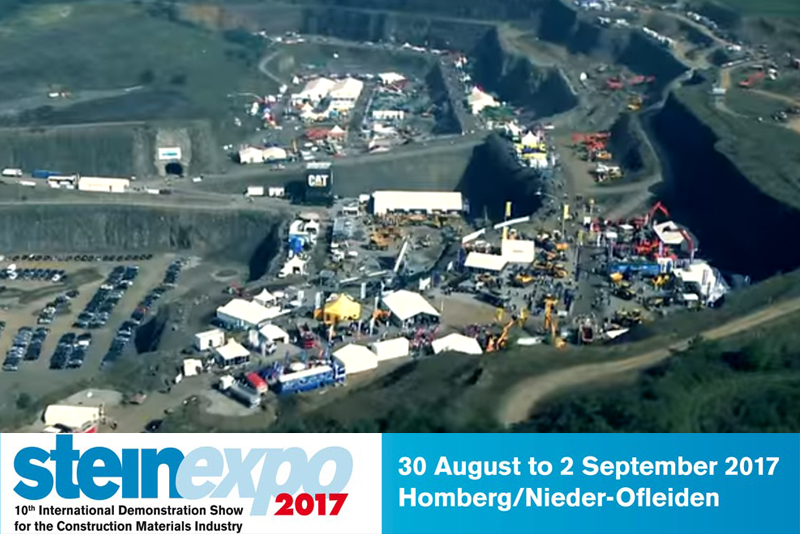 The 10th Steinexpo takes place from 30 August to 2 September 2017 in Europe’s impressive and biggest basalt quarry! Concentrated in four trade fair days (Wednesday to Saturday), leading manufacturers of construction machinery, treatment and preparation technology suppliers, suppliers of add-on equipment and service providers will present machinery and plants, industry innovations and service offerings in full action: solution-driven and convincing!